Mark Plant is a partner of Ashley Ann, one of the UK’s leading manufacturers of high-quality custom kitchens and bedrooms for over 30 years. What this means for our customers is that although we’re very much a local independent business focused on the needs of people in and around South West London, our customers can buy with confidence, safe in the knowledge that we’re partnered with a much bigger company. The team here at Mark Plant have designed, supplied and installed bespoke fitted kitchens since 1984. During that time we have not stood still, constantly refining our approach to embrace changing tastes and improvements in materials. Whatever your budget we are confident we can offer both the private individual and professional client the best possible combination of design flair, functionality, and value for money, enhancing your experience with our extensive project management and fitting experience. The following pages give an idea of what is possible; if you like what you see and would like to know more, please call or email us or visit our Wandsworth showroom, where you can see examples of both our contemporary and traditional furniture ranges; we can also show you a vast range of synthetic and natural work surfaces, Franke sinks and Siemens appliances. We create fully priced and illustrated quotations free of charge. 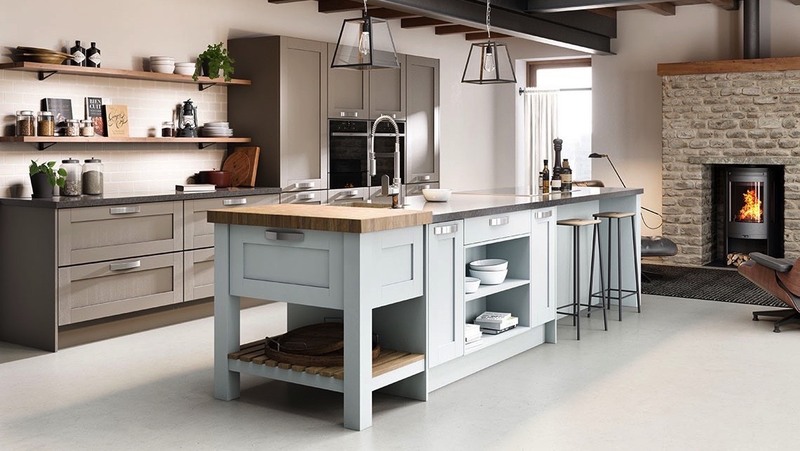 And if you decide to buy your new kitchen from us you can rest assured that your furniture comes with a 10-year warranty, the hinges and drawer runners have a lifetime guarantee.